WEATHER: Hot and sunny all day, cloudy late afternoon. We had a lay-in this morning, breakfast was at 7am! We then drove a short way to the nearest tank called Debrawewa and birded for about 2 hours. 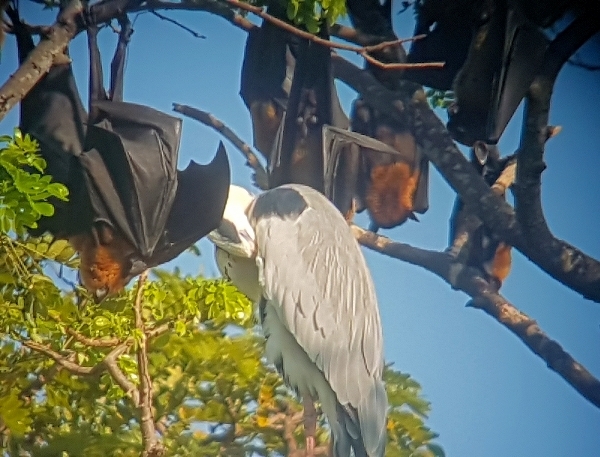 Before we got to the birding site at the 'Tank' we stopped off to look at a huge Flying Fox colony, over 10,000 roost there. What a sight, the trees were covered, a Grey Heron colony can be seen in the same trees and hundreds of cormorants, egrets and waterfowl were feeding nearby, it was an amazing wildlife spectacle to say the least. 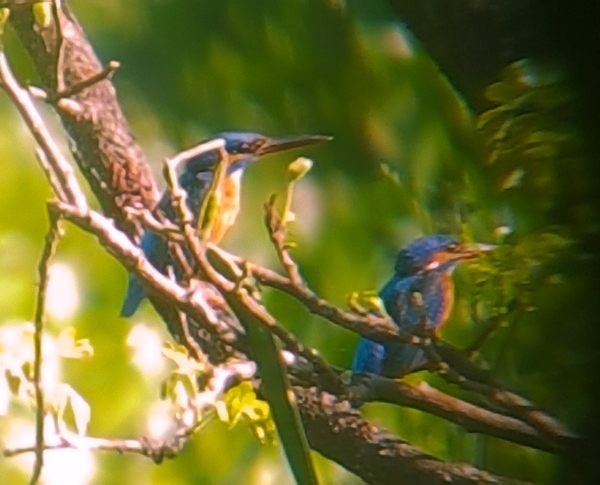 Then Saman pointed out a pair of Kingfishers which on first inspection looked like a pair of Common Kingfishers but with closer scrutiny we could see that they were in fact, the much rarer Blue-eared Kingfisher. 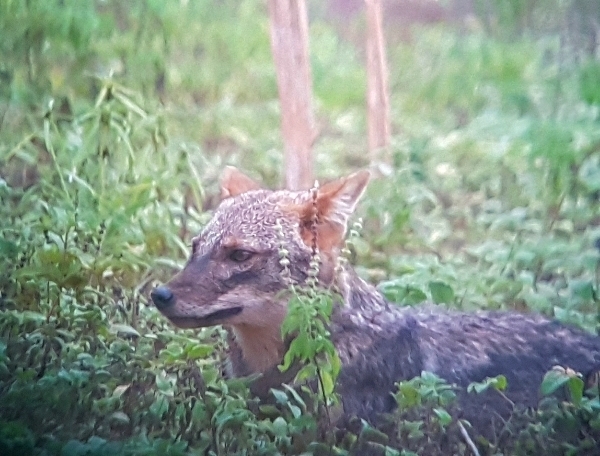 Well, Saman went crazy, we all got excited as this species had not been recorded in Sri Lanka for several years. After that excitement we clambered back onto the bus and drove to the tank, any sighting from now on was going to be a disappointment. Not really, we still had s great couple of hours walking along the bank of the ‘Tank’ watching all the waterfowl that we saw yesterday but in fewer numbers. 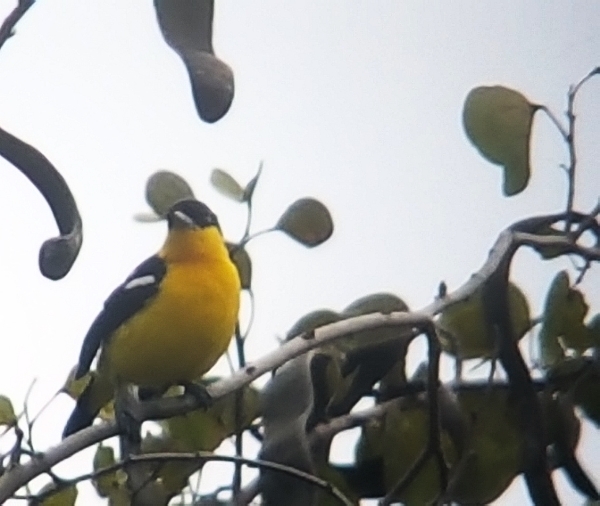 We added Jerdon’s Leafbird and the beautiful Small Minivet to our list and we had much better views of several other species that had not been seen too well so far. We returned to the hotel at 10:30 having an hour to pack before we departed at 11:30. One last species wad added to the list before we left, the Thick-billed Flowerpecker. Our stay at the Hibiscus Hotel had been wonderful, the service was great the rooms and the grounds were superb, highly recommended. We drove to our next hotel which was just 90 minutes along the coast near the Udawalawa National Park. After settling in and taking lunch we met again at 3pm and set off in a jeep to visit the Park. 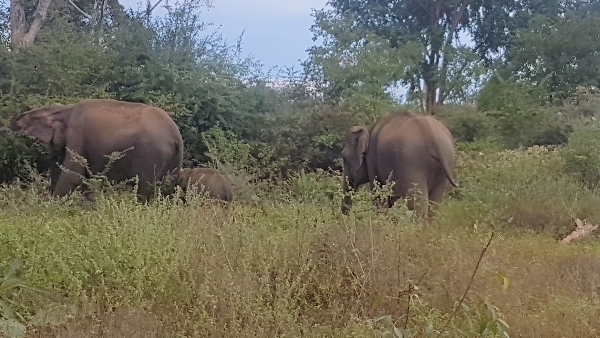 Once again, we had a terrific time watching many birds and lots of Elephants. It was hot when we started but it soon clouded over and rain threatened we could hear thunder in the distance but this did not distract us from enjoying some great birds. 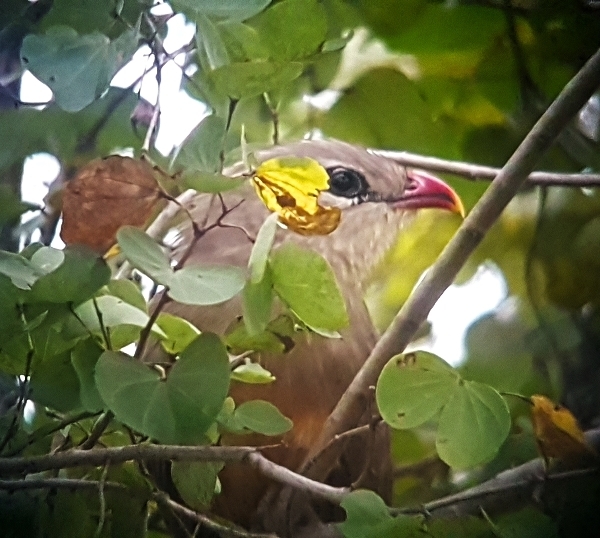 Soon after we entered the park we found Yellow-eyed Babbler, what a stunner then we had distant views of Plum-headed Parakeet and we saw lots of Rosy (Rose-coloured) Starlings. The Malabar Pied-Hornbill seemed to be common throughout the park and hundreds of Spotted Doves and Red-vented Bulbuls were seen all along the tracks. 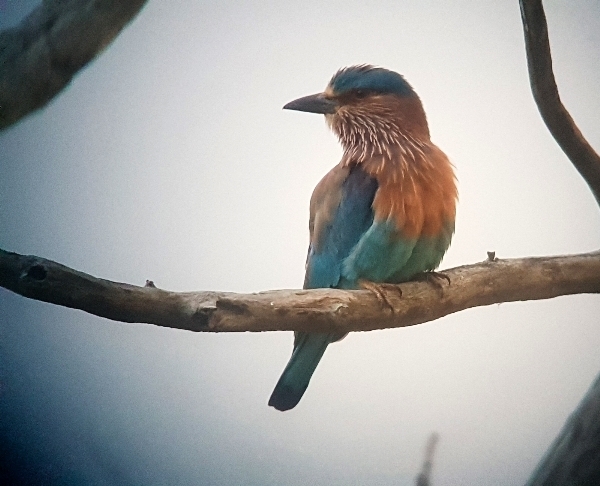 Next we found an Indian Roller, our first of the trip, this beautiful bird sat with its back to us the whole time we watched it, not very obliging but we enjoyed the sighting all the same. 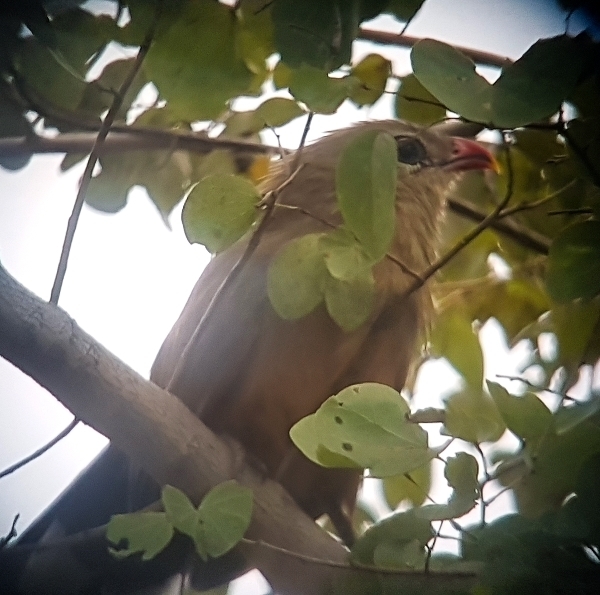 Our search for the prize bird, the Sirkeer Malkoha, resulted in great success as we found one in a bush alongside the track. This bird showed so well that it was too close to digi-scope! A large lagoon with a nice viewing area was a great place to get down from the jeep and stretch our legs, we scoped the area and, as usual, the place was heaving with birds. A nice colony of Black-crowned Night Herons could be seen on the far shore, also all kinds of egrets, storks, spoonbills, terns and waders were feeding all around the lagoon. 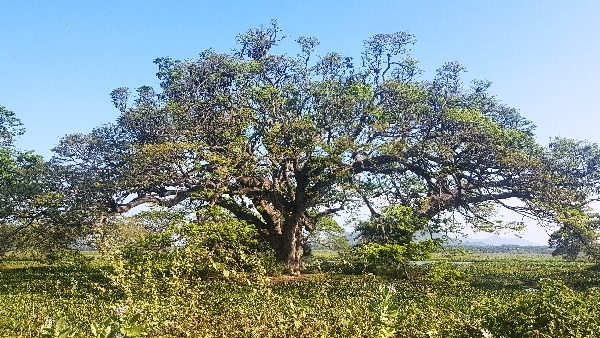 We searched the dead trees and likely perches for a Black-winged Kite but never found one, we did see White-bellied Sea-Eagle, Brahminy Kite, Grey-headed Fish Eagle, Crested Serpent Eagle and Crested Hawk Eagle. Back on the track we headed off towards the exit as the clouds grew darker and thunder rumbled in the distance, we continued our search of the Kite and came up with a little group of Indian Rollers, these birds were perched facing us and posed much better. We then found a small group of Tawny-bellied Babblers before bumping into a flock of Yellow-billed Babblers, this flock had an additional species with it. A Jacobin Cuckoo was following the group as though looking for friends to hang out with! That was our final sighting of the day, we left the park and drove back tom our luxurious hotel, the rain held off. Dinner at 7:30pm was delicious, our bird log included our latest finds and now stands at 221, with 21 endemics in the bag.